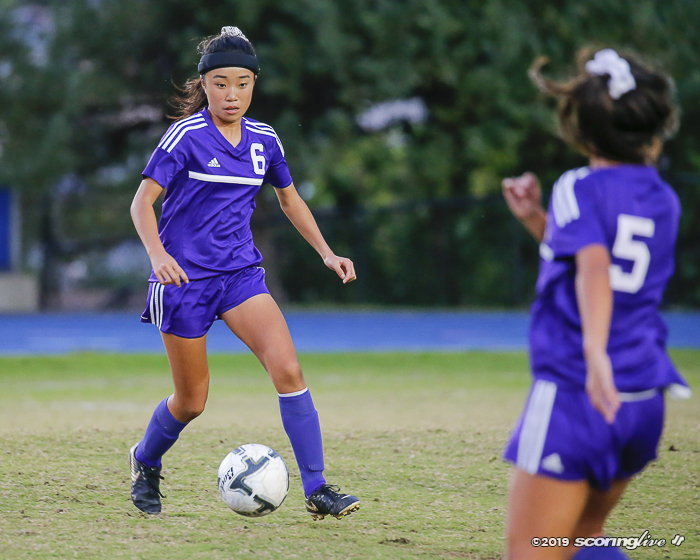 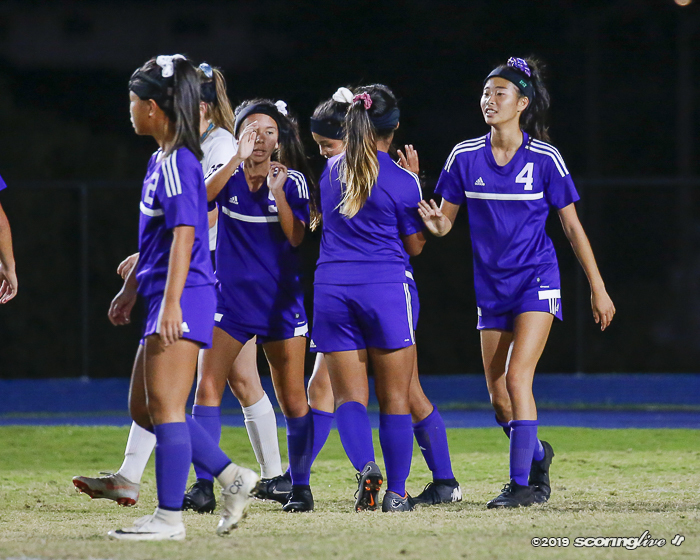 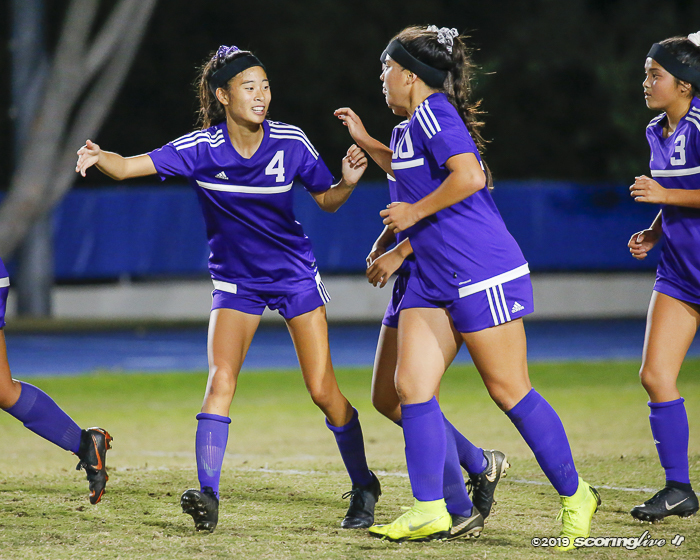 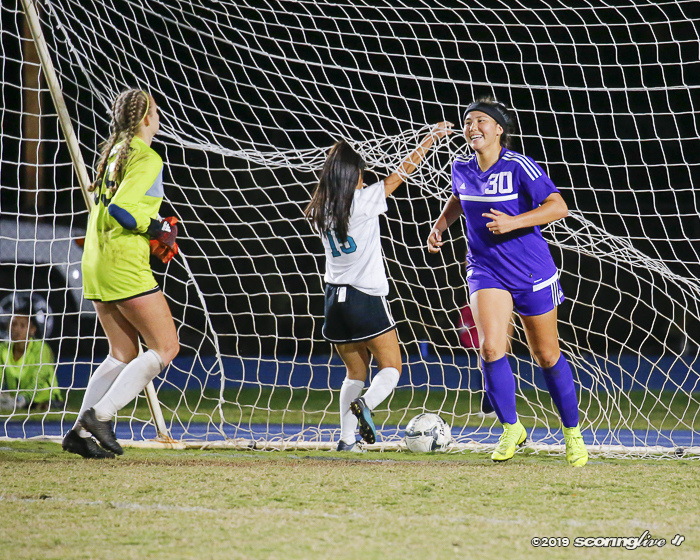 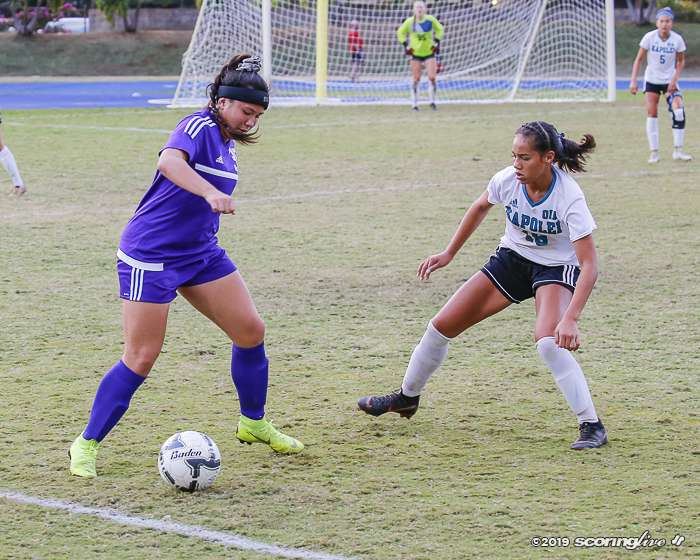 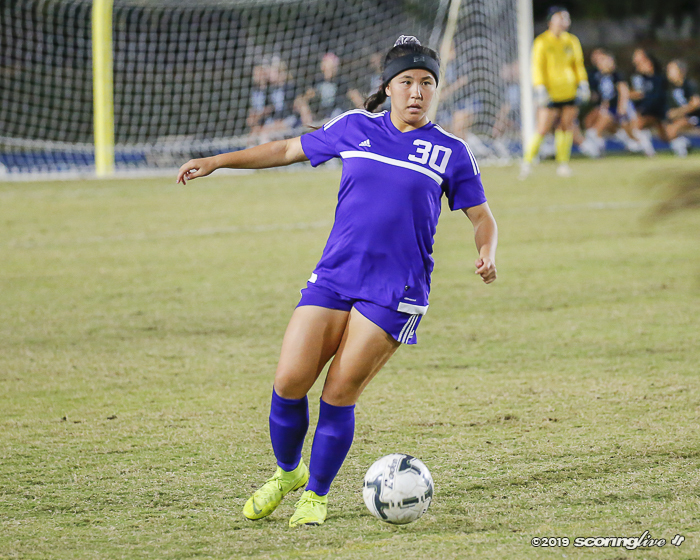 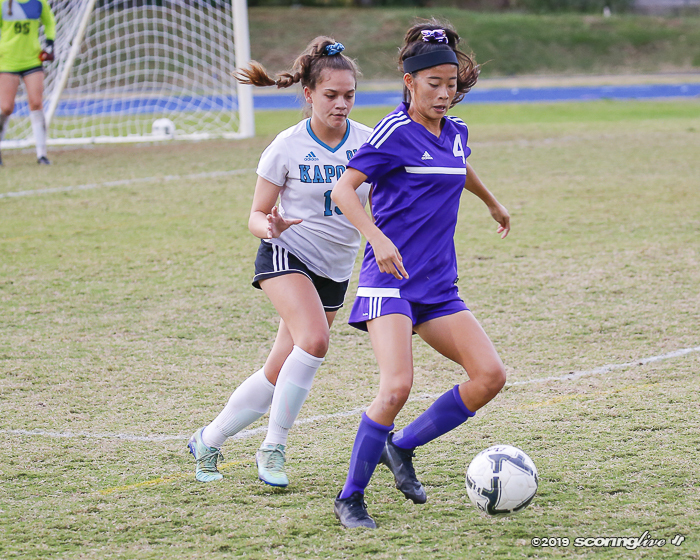 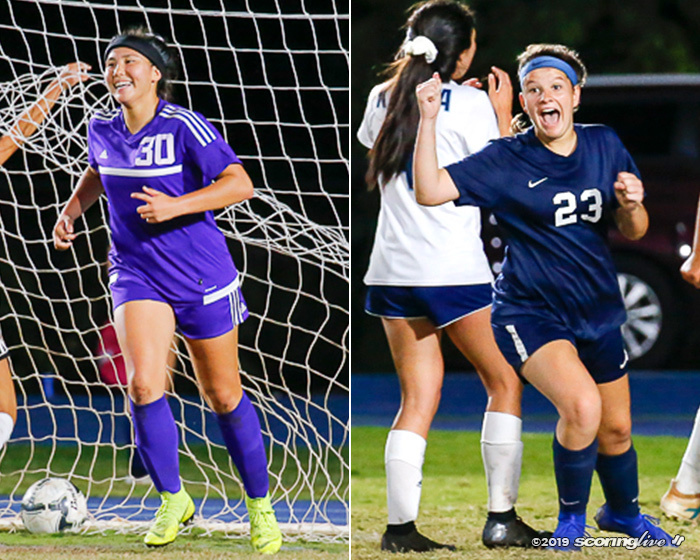 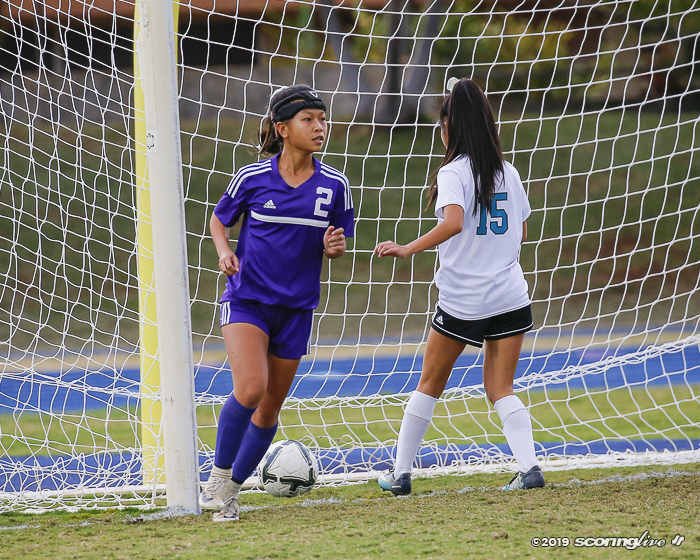 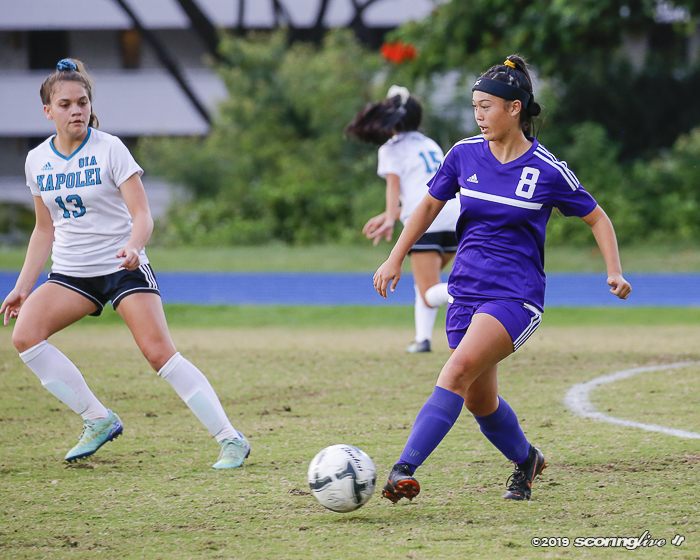 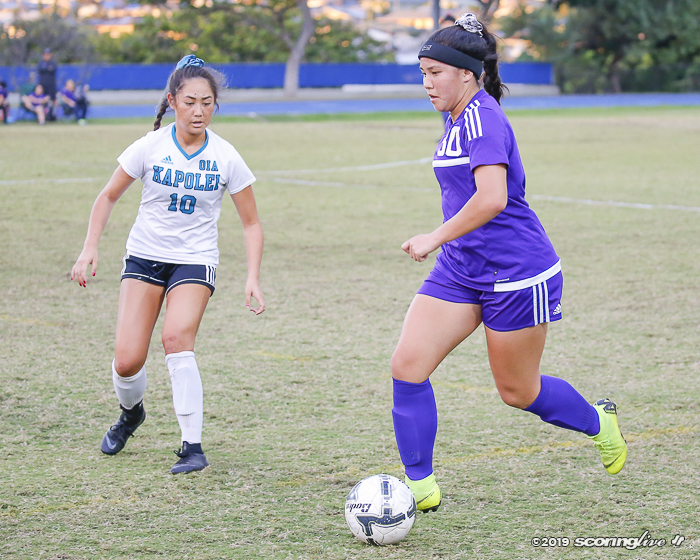 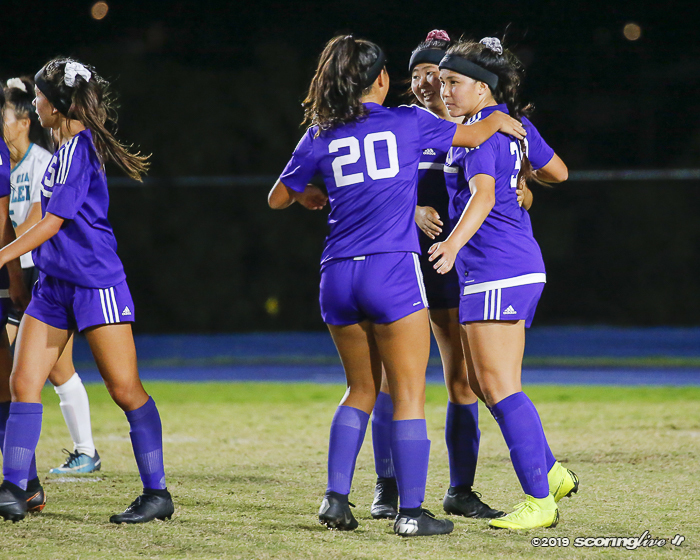 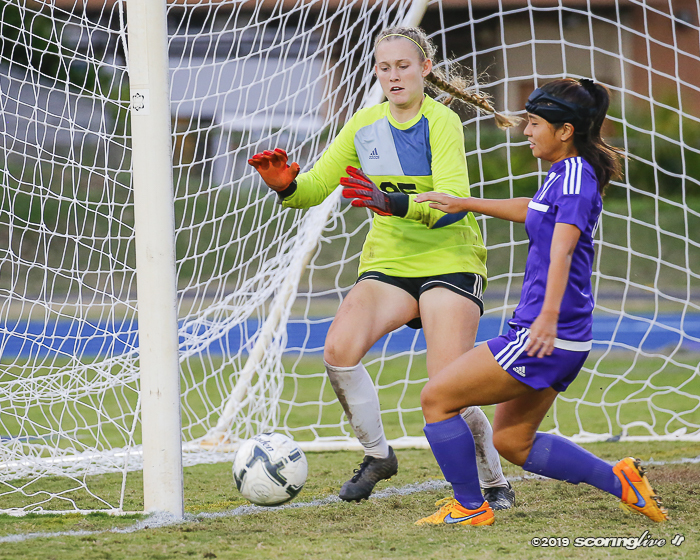 SALT LAKE — Pearl City and Moanalua took care of business Tuesday evening to set up an Oahu Interscholastic Association meeting between the two in the semifinal round. 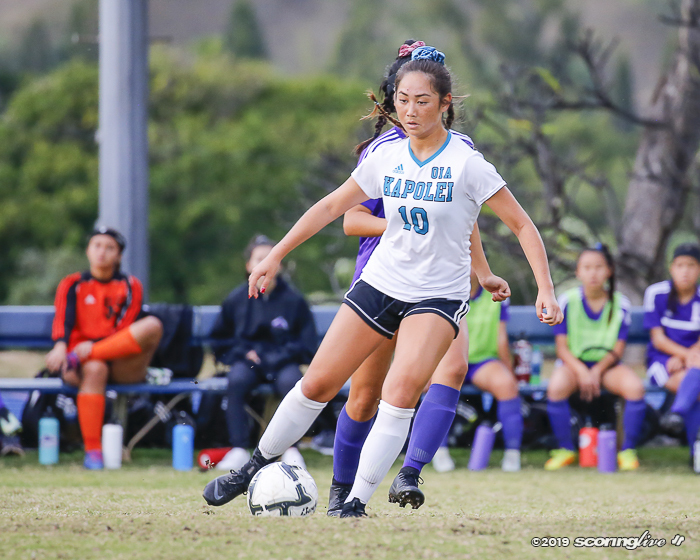 The Chargers (9-1-1) scored fast to take down Kapolei (6-6), 3-1, while Na Menehune (9-0-1) answered and put Kailua (5-3-3) away late, 2-1. 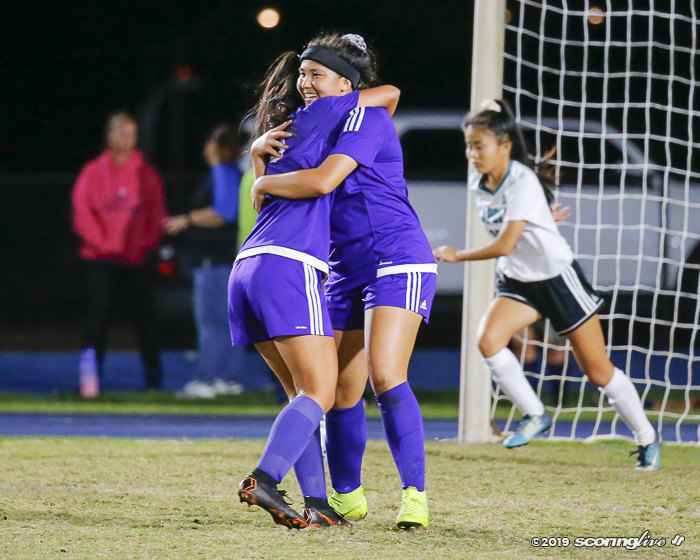 Sunshine Fontes scored a pair of goals for West's No. 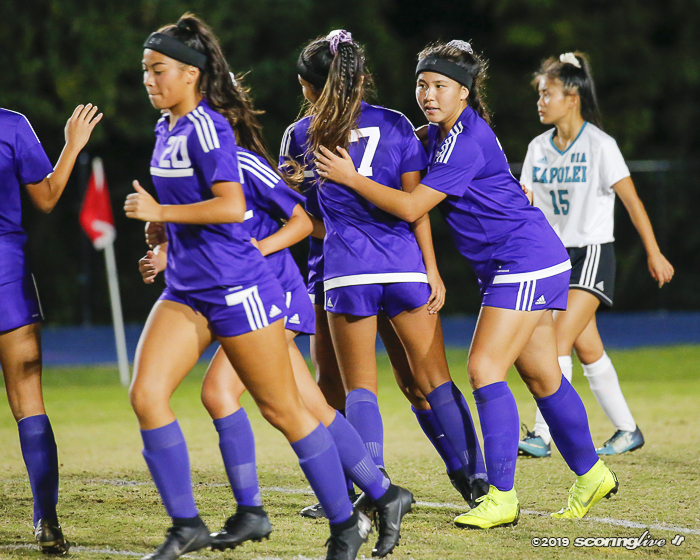 2 seed Pearl City while Taylor Hayes did the same for East top seeded Moanalua. 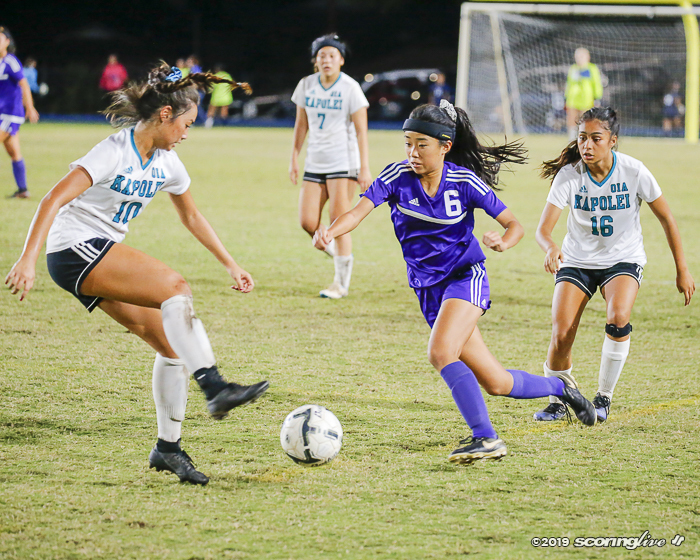 Kickoff is set for 7 p.m. Thursday night at Kaiser High School. 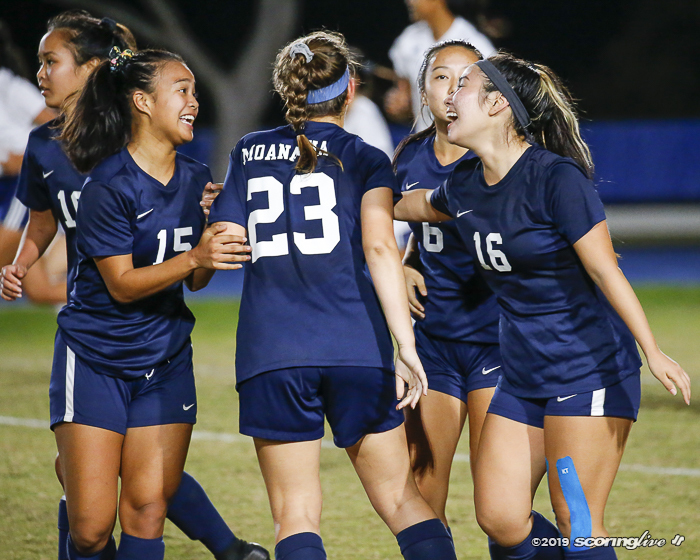 The two schools have met up twice in each of the past two seasons. 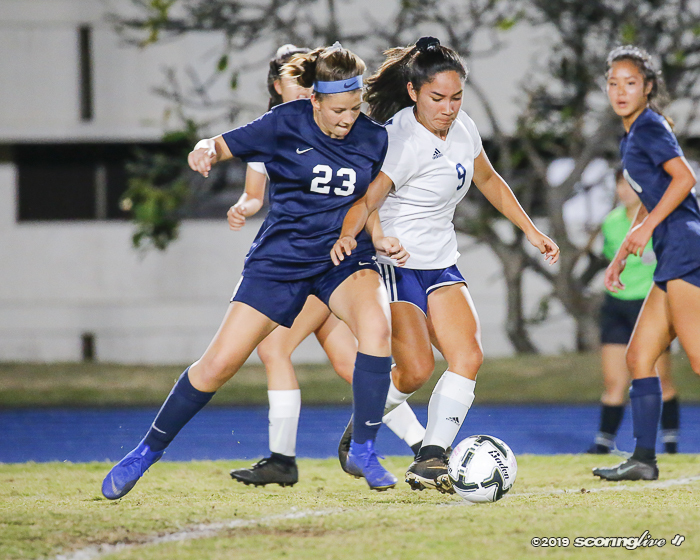 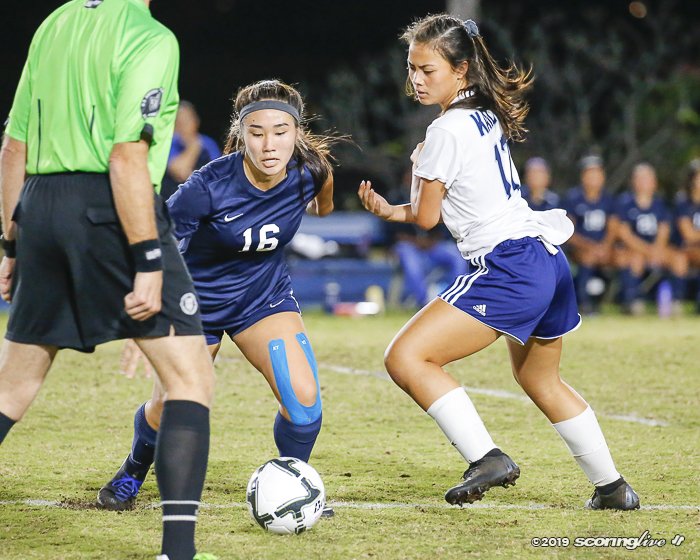 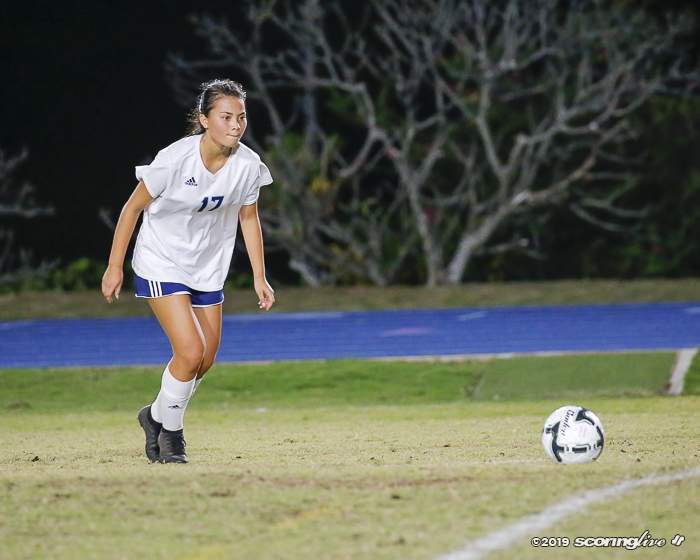 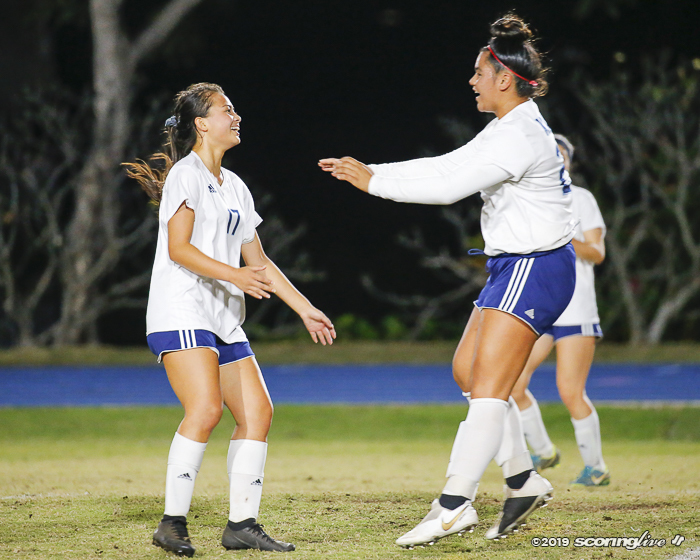 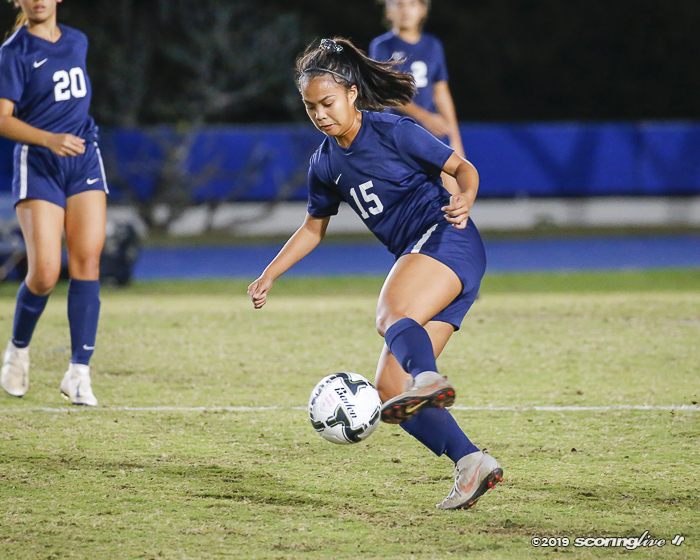 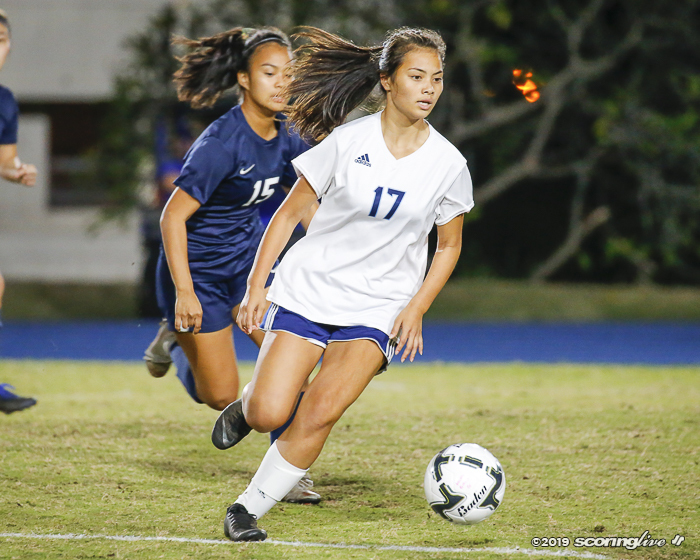 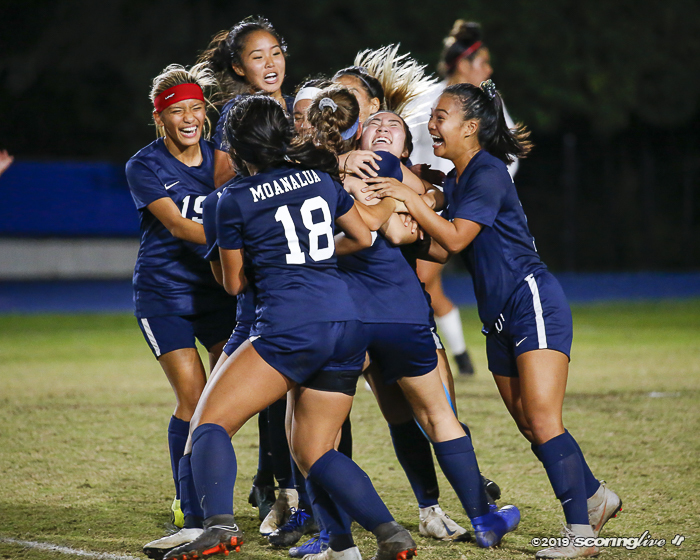 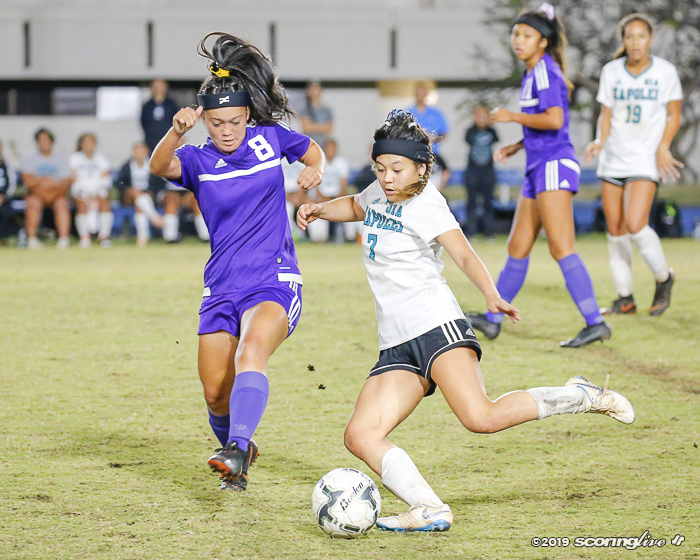 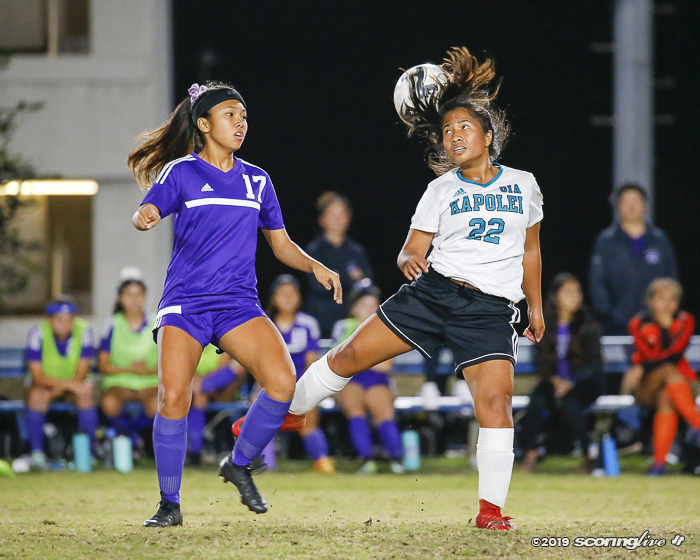 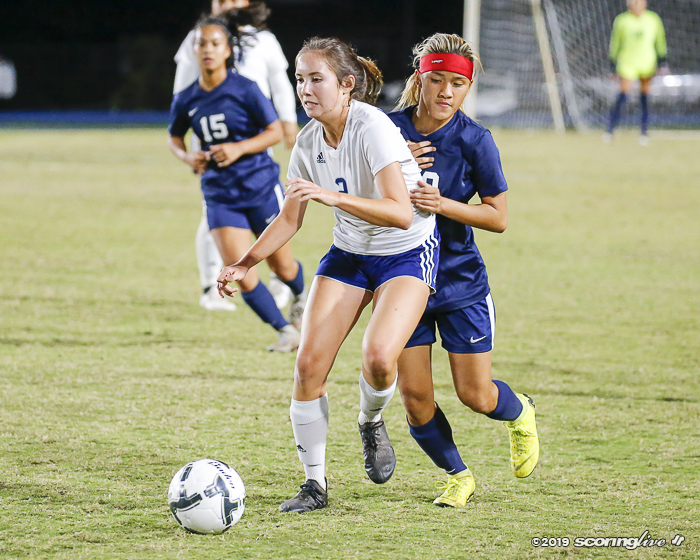 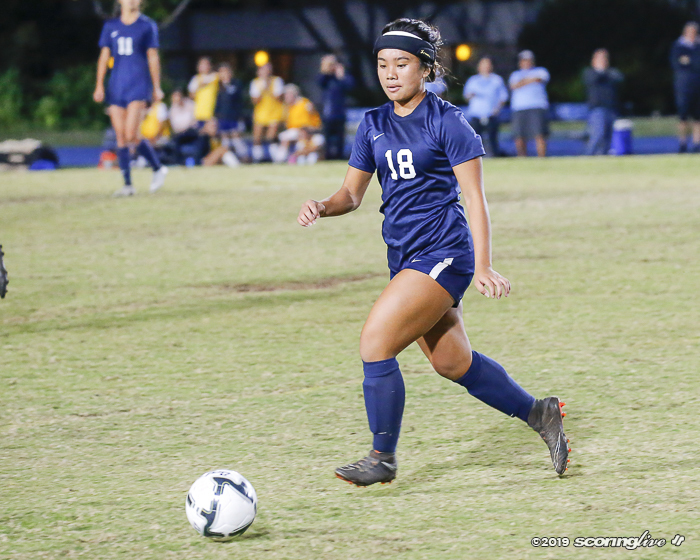 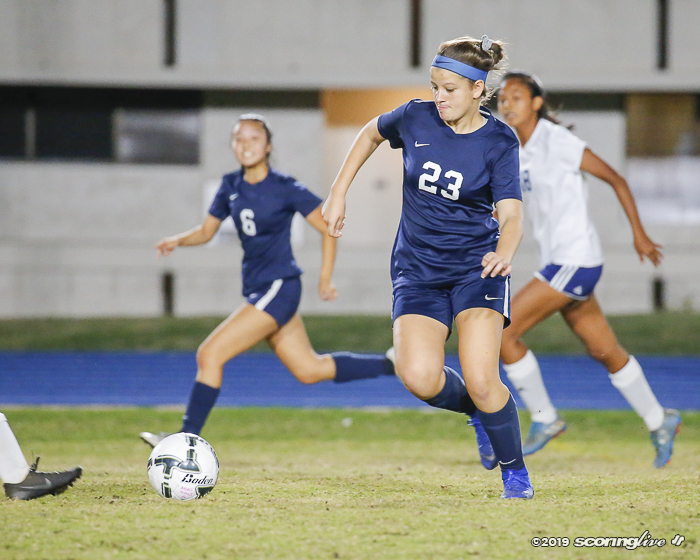 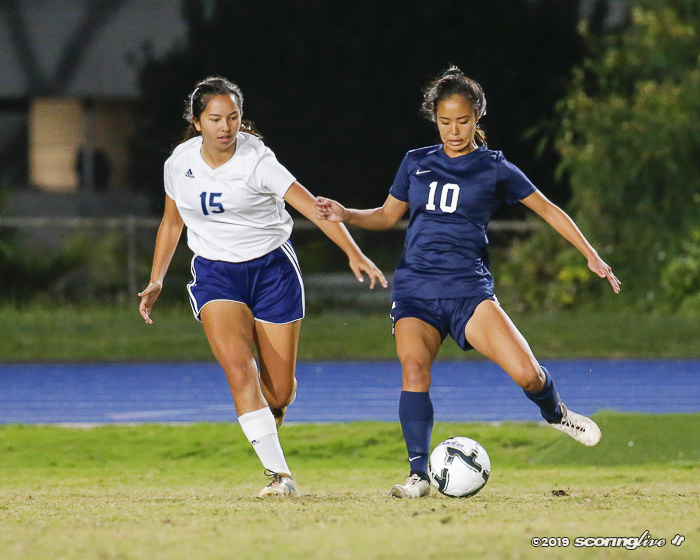 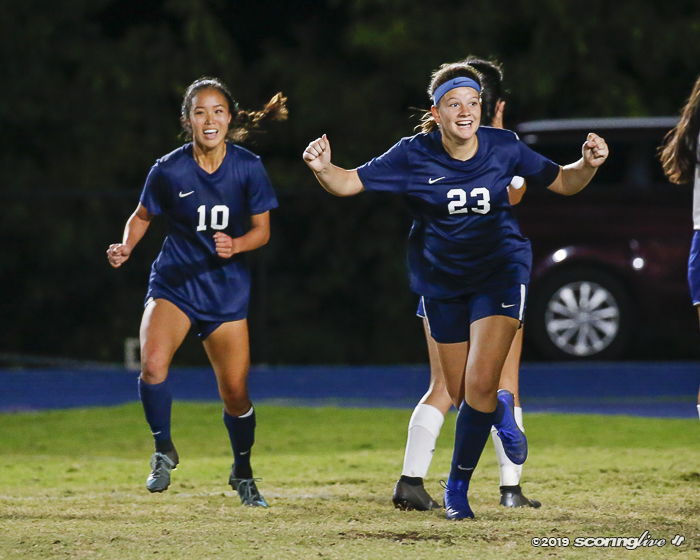 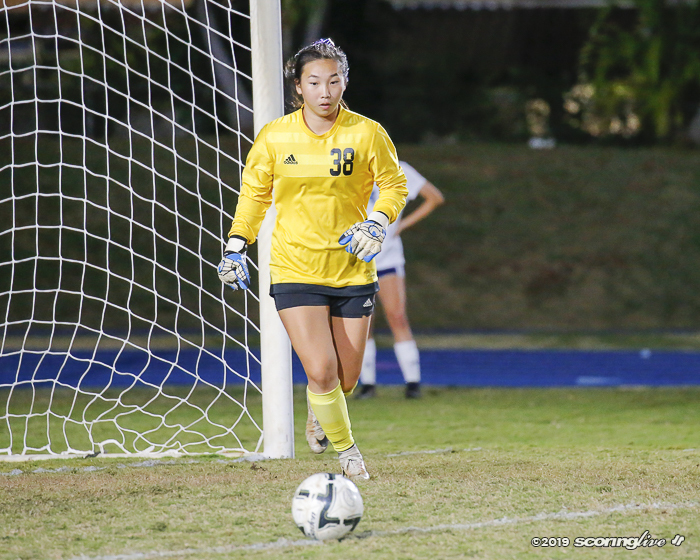 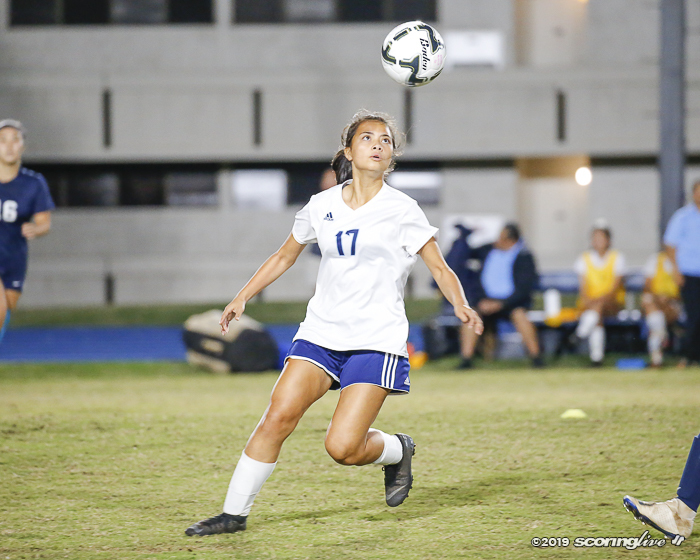 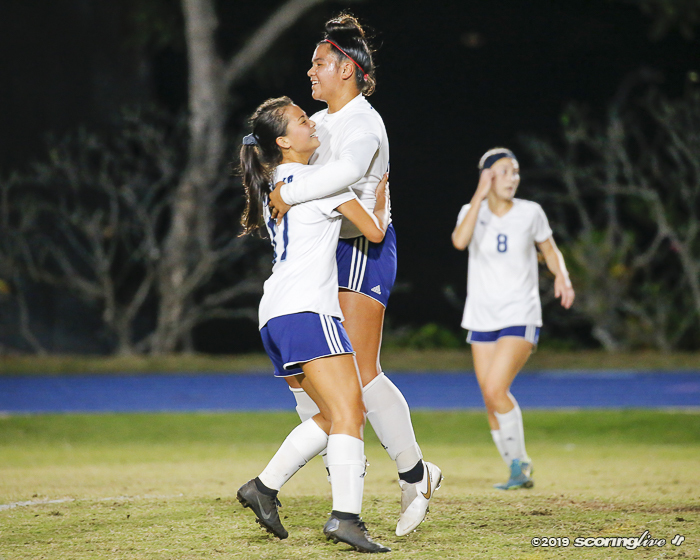 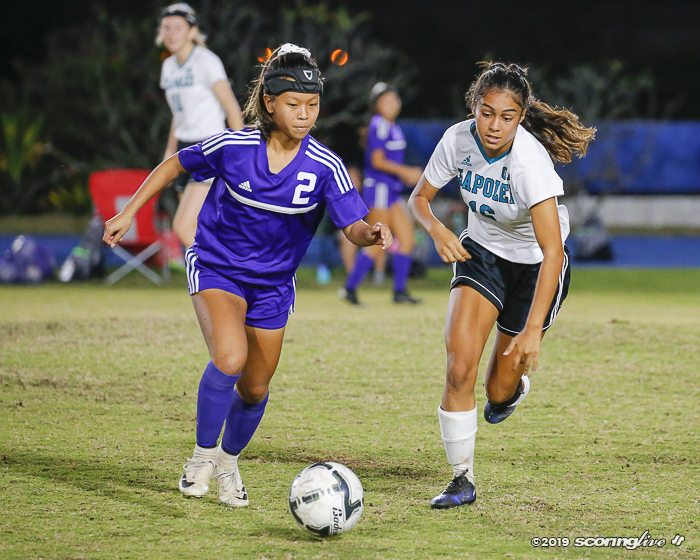 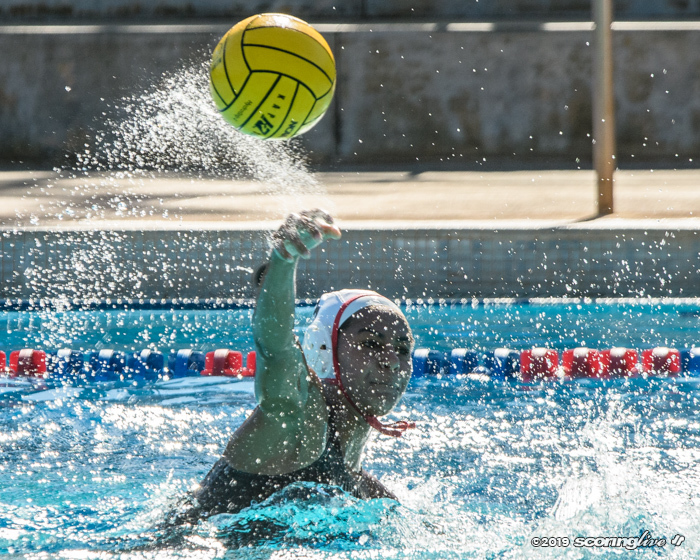 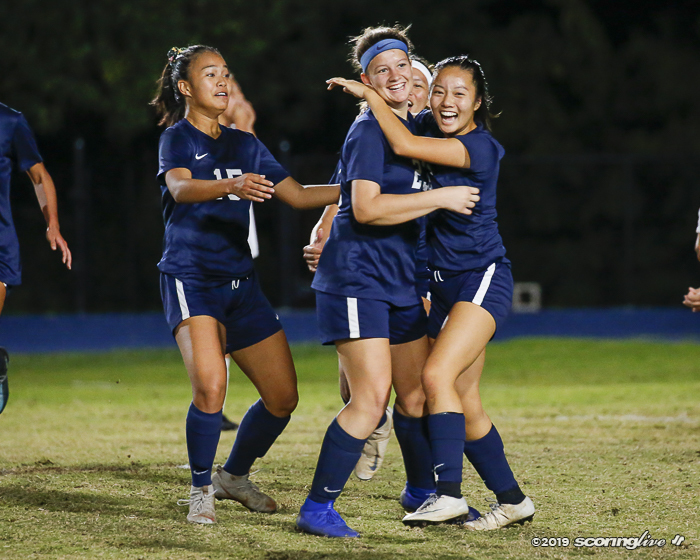 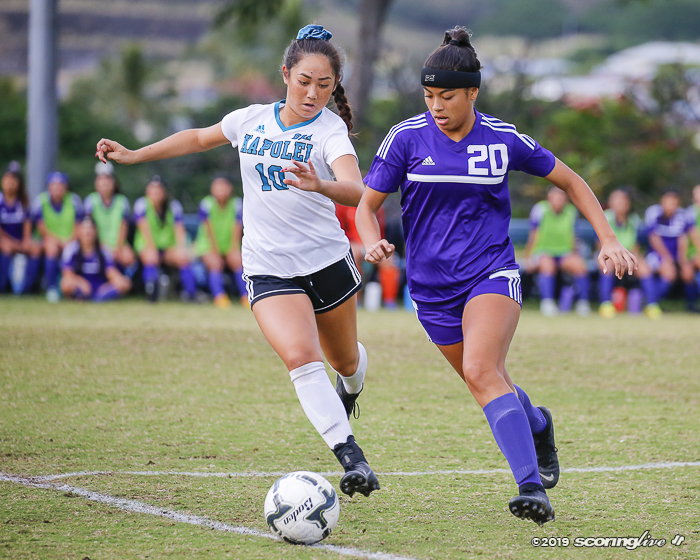 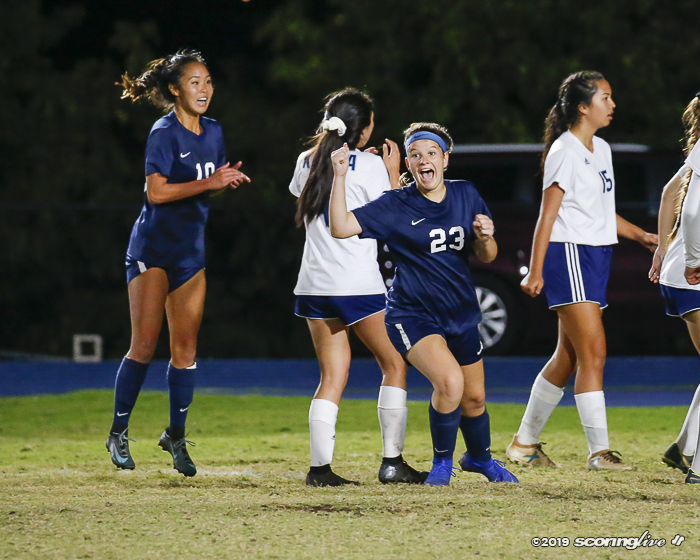 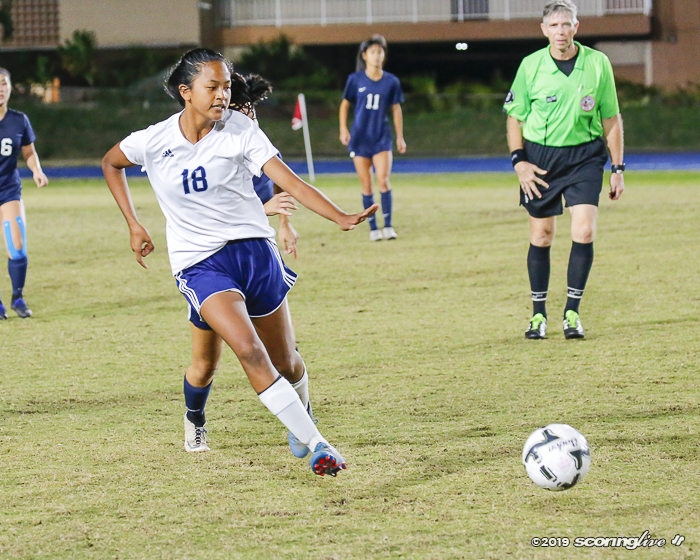 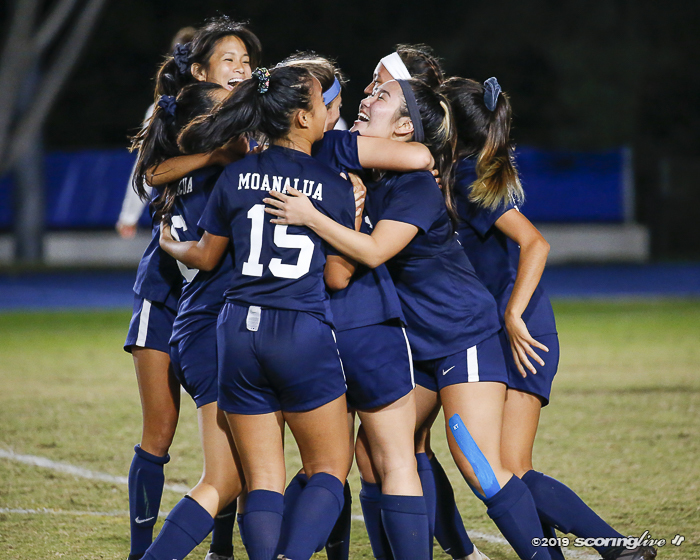 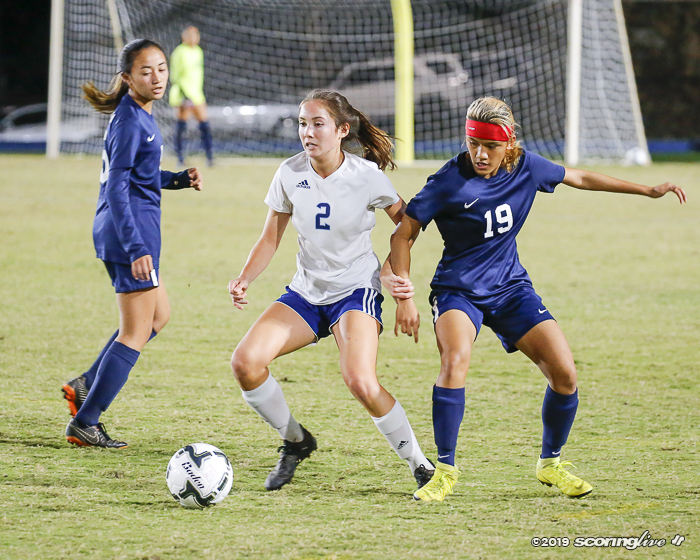 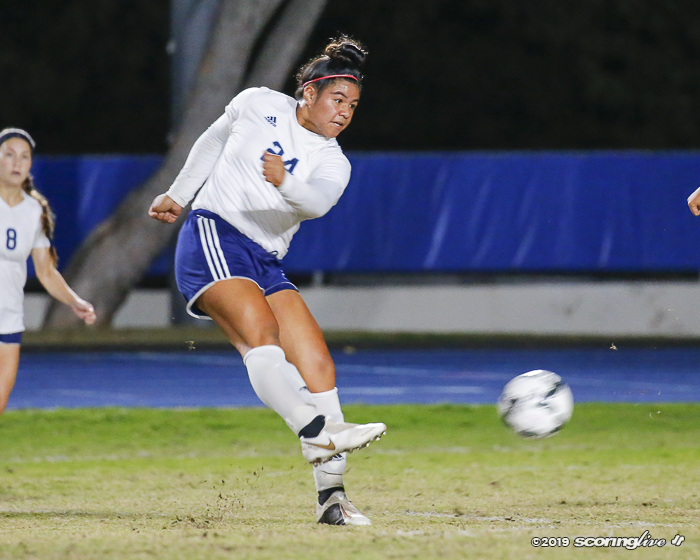 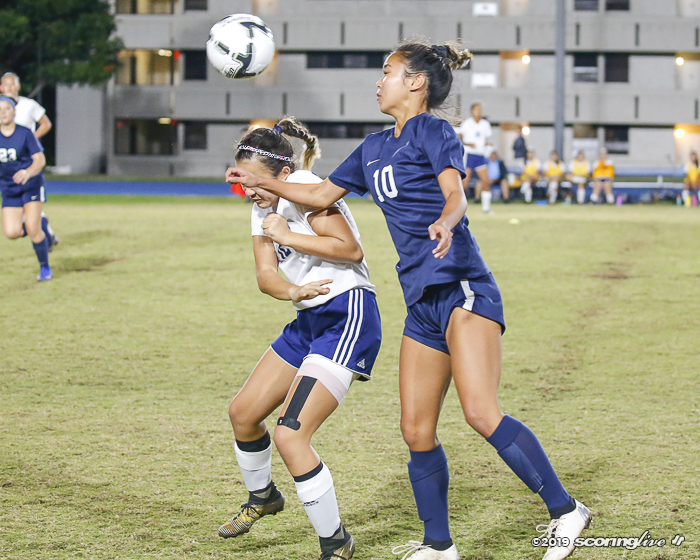 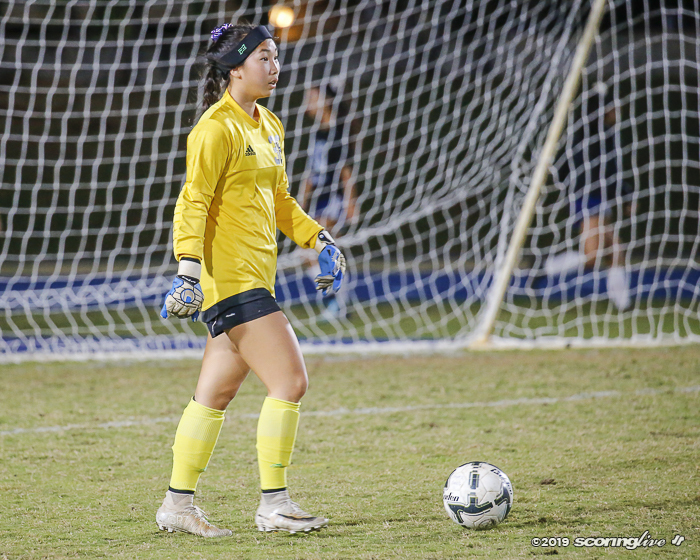 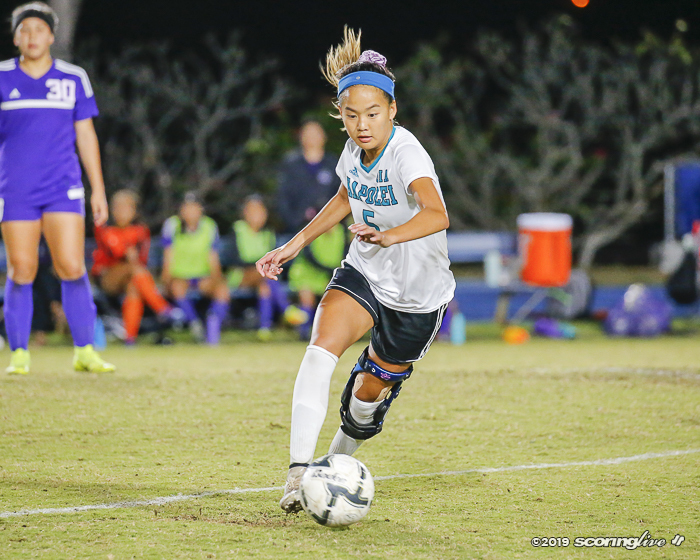 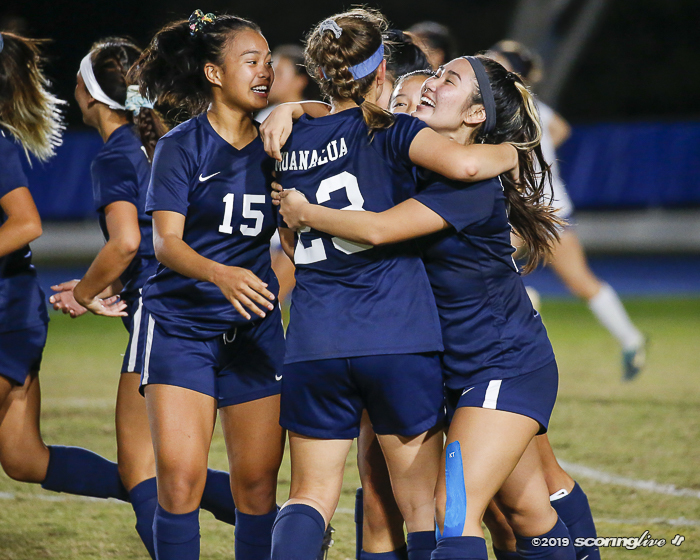 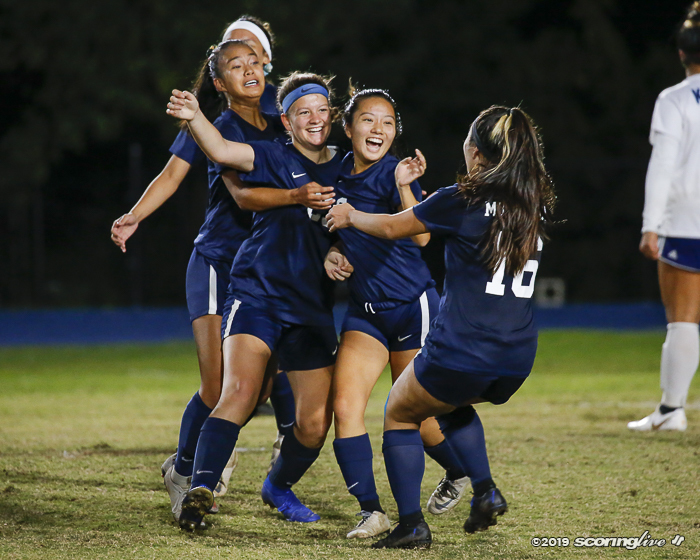 Fontes' lone goal led the Chargers to victory past Na Menehune in the 2016-17 OIA semifinal. 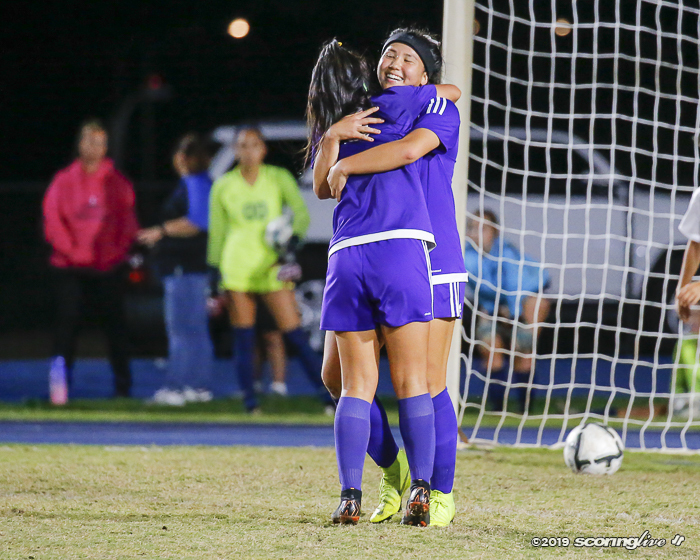 Pearl City won again when the two teams met in the OIA Third Place game. 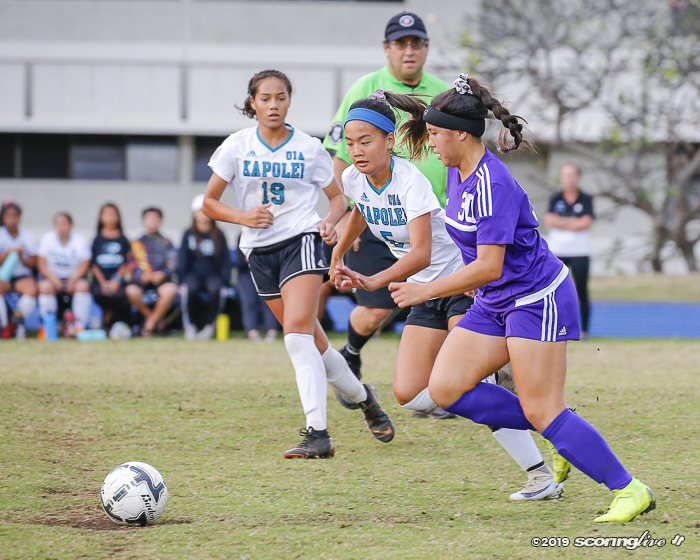 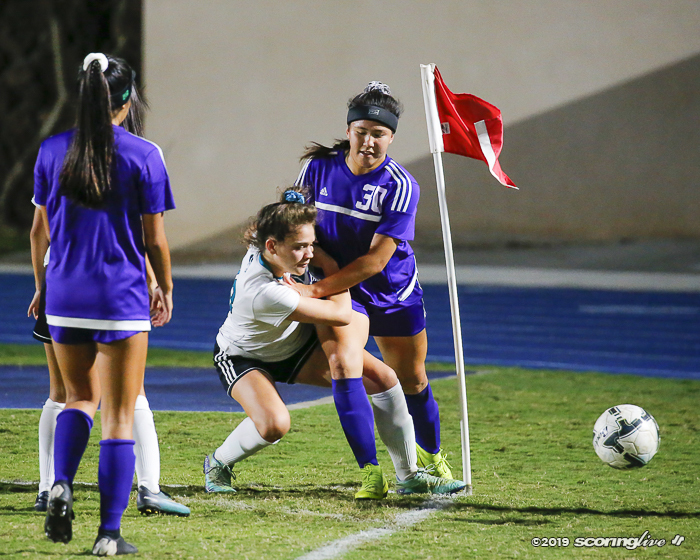 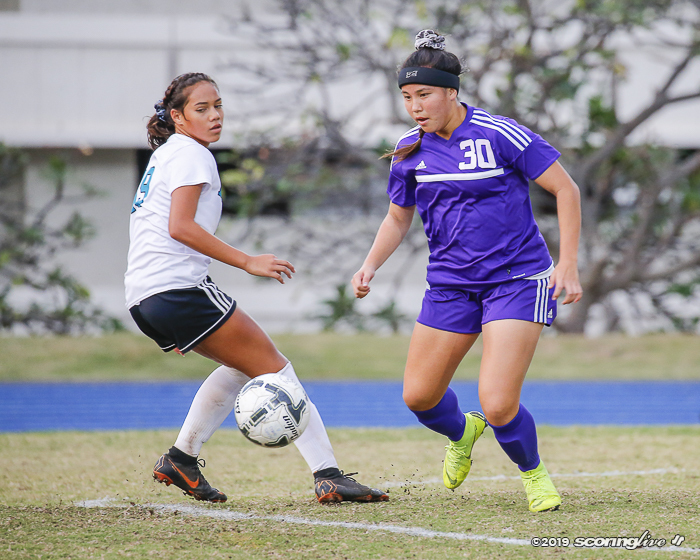 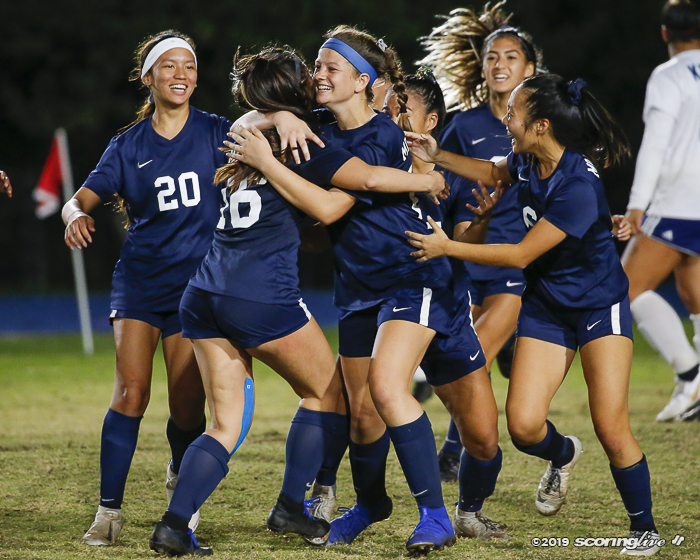 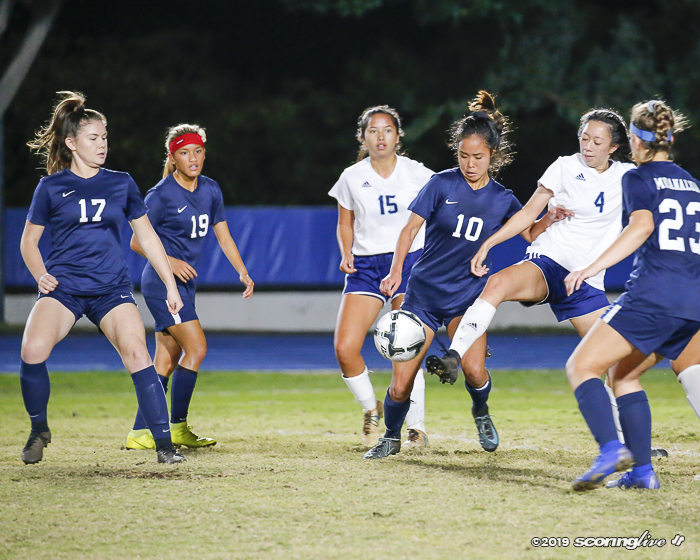 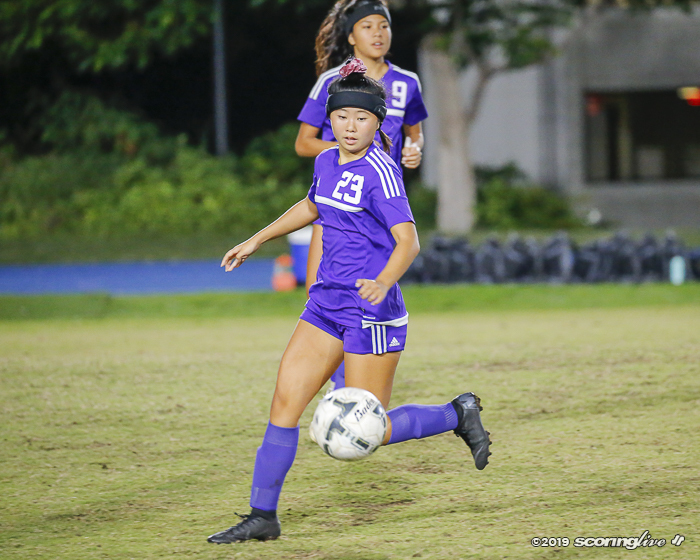 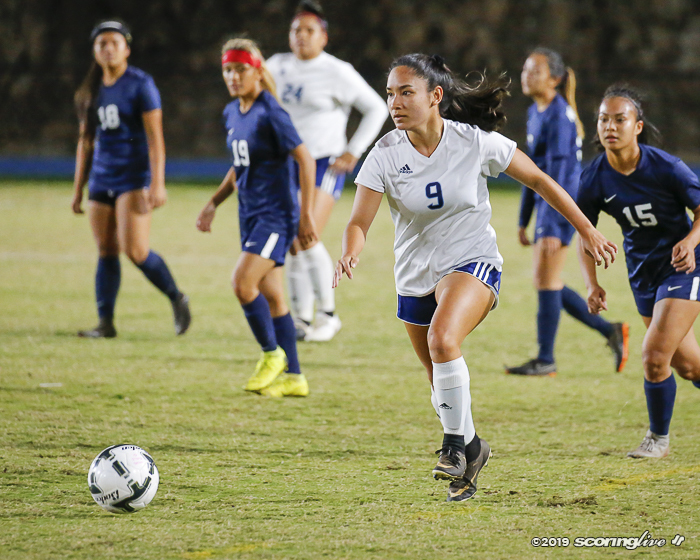 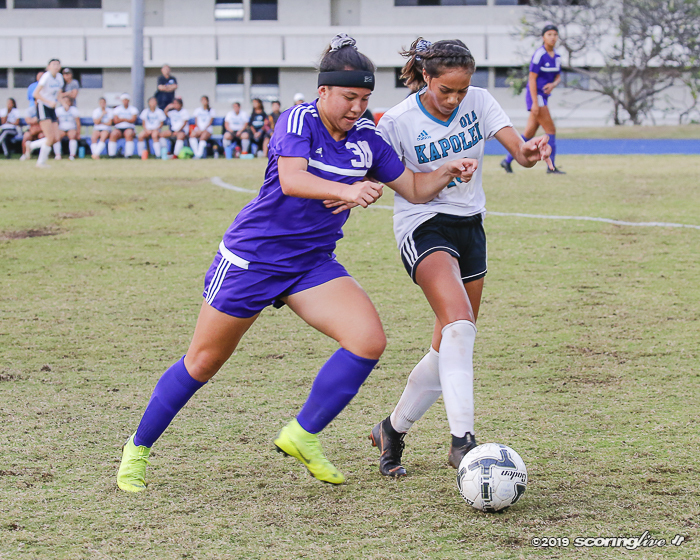 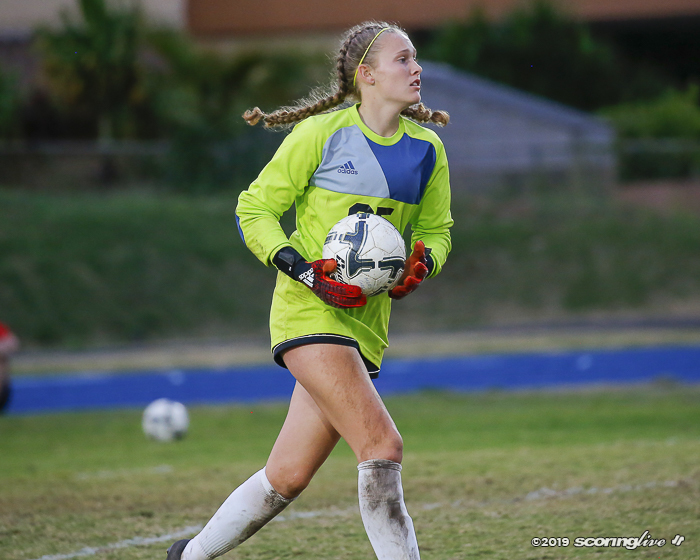 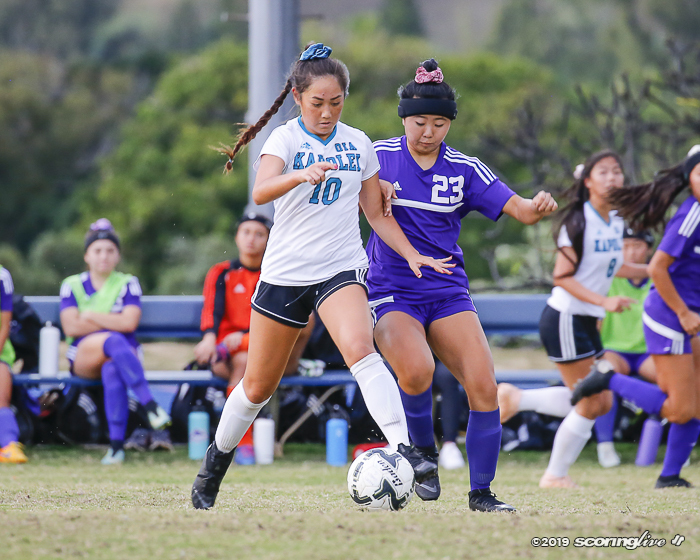 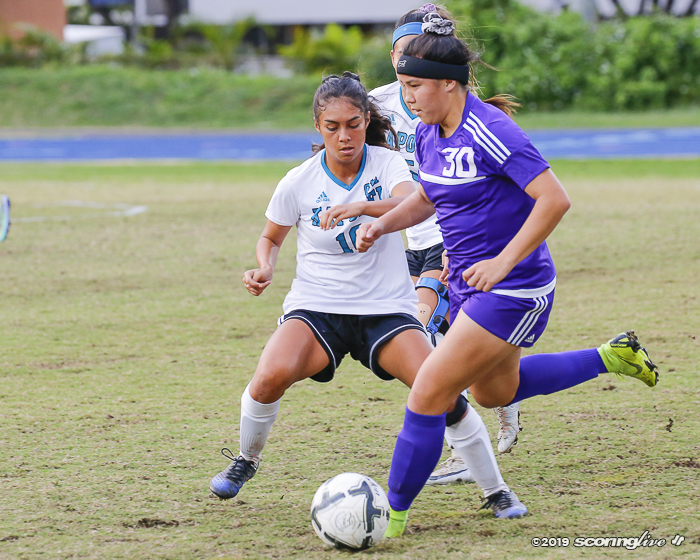 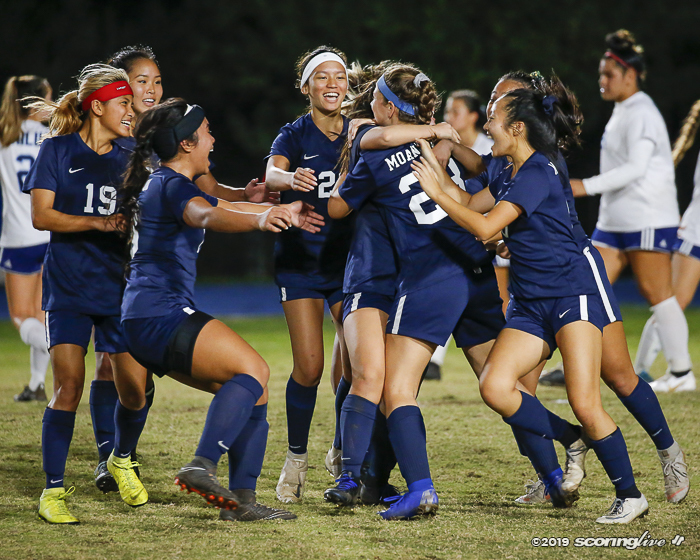 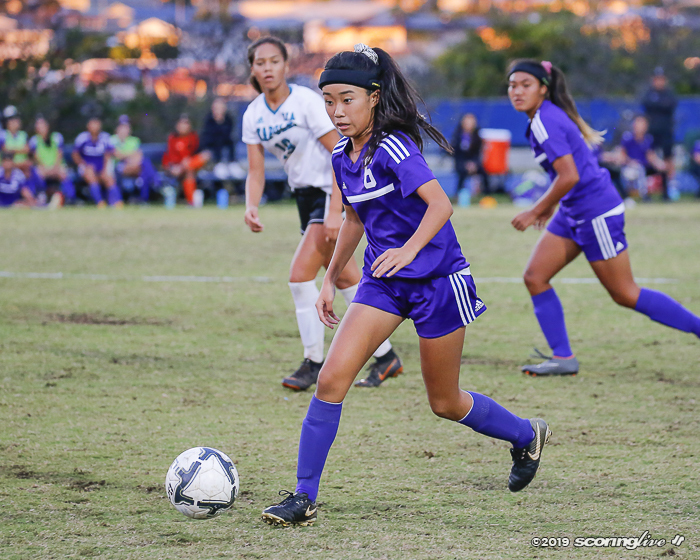 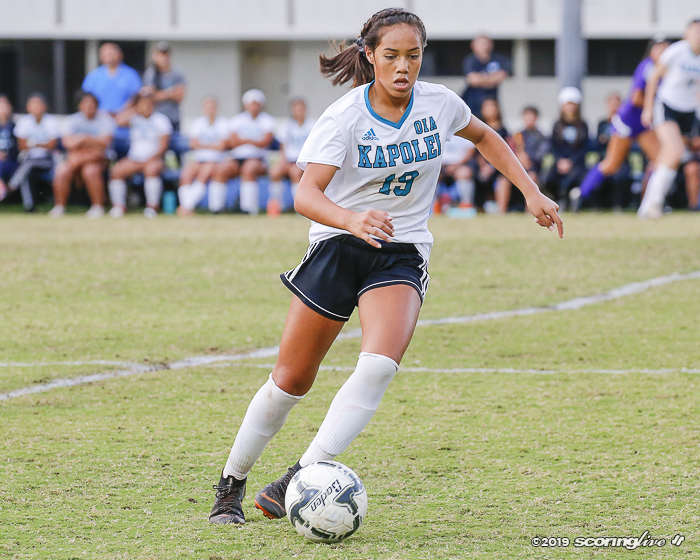 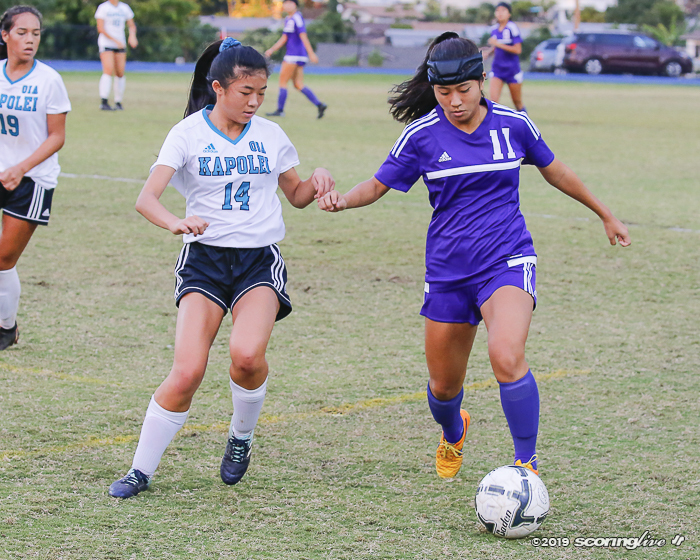 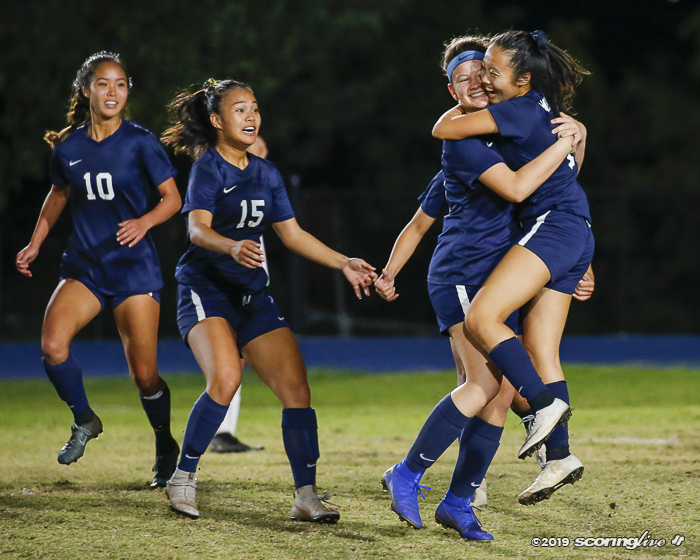 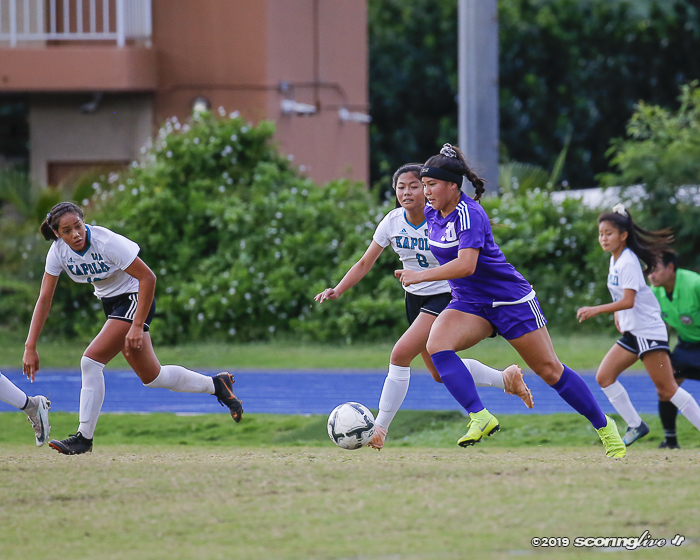 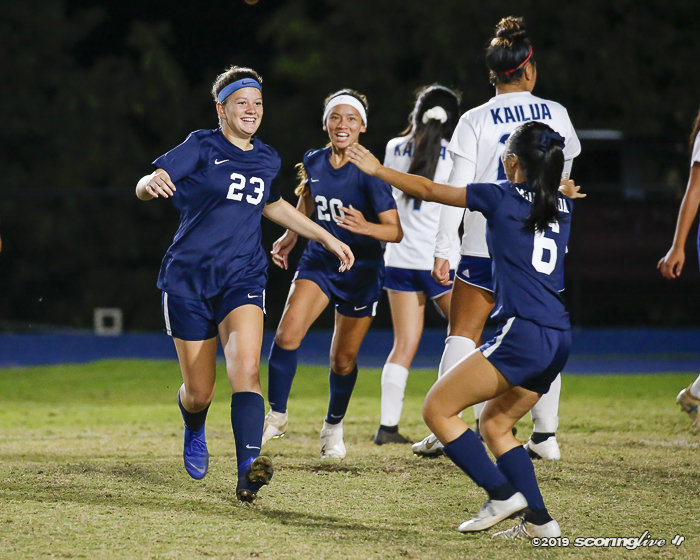 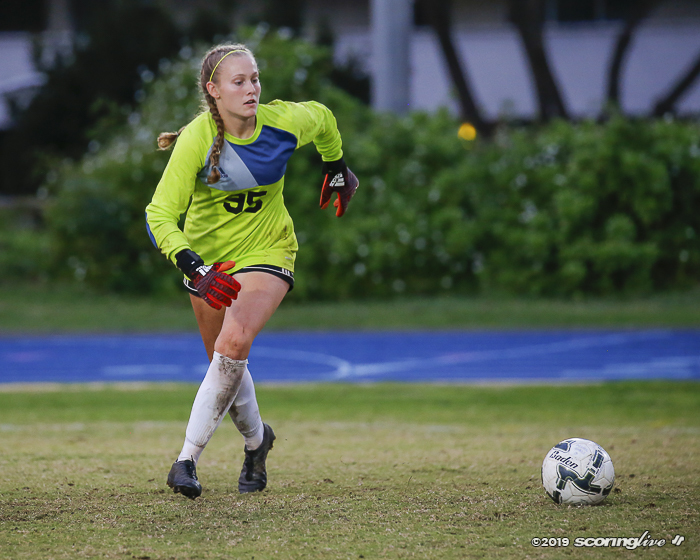 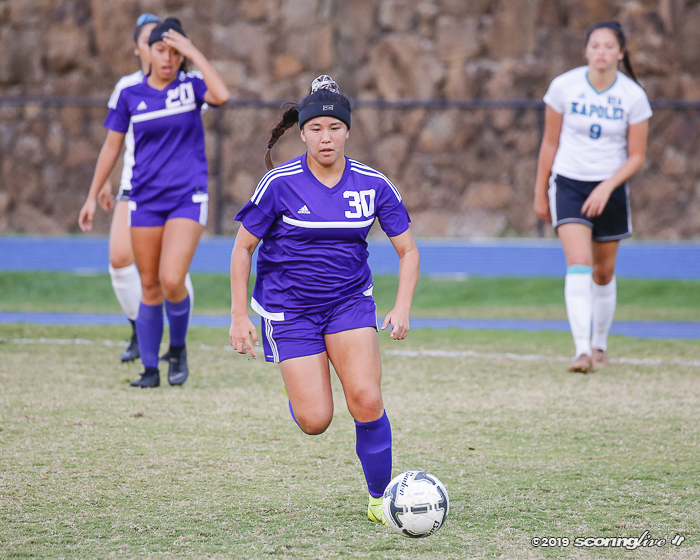 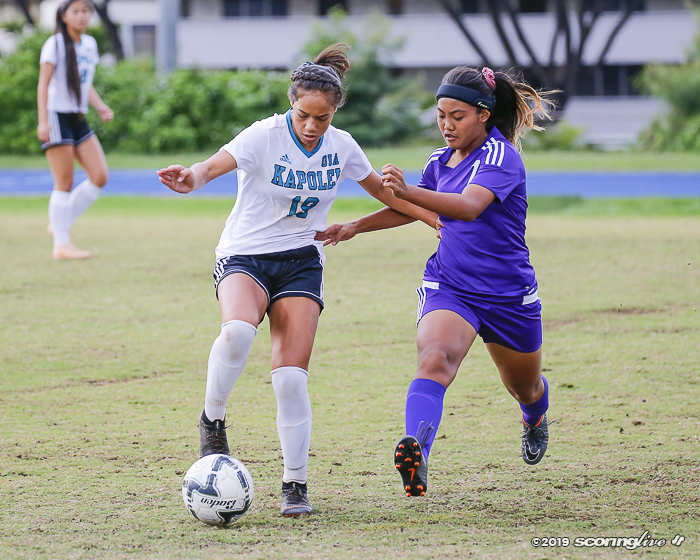 Both teams also clinched a spot in The Queen's Medical Center/HHSAA Girls Soccer Division I Championship at the end of the month. 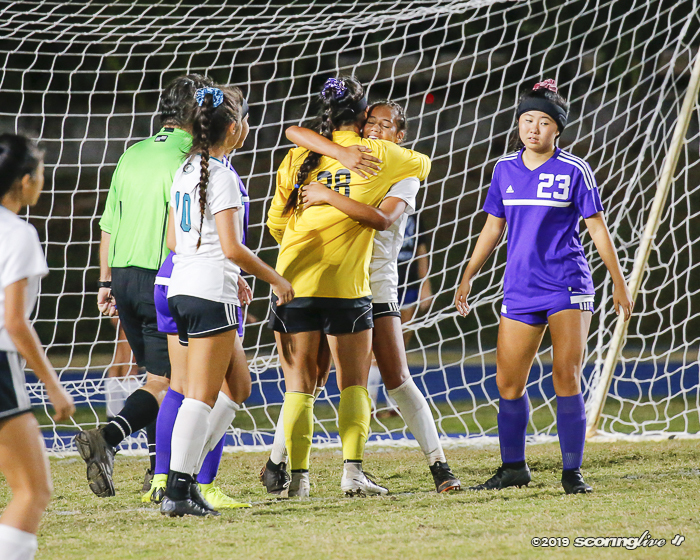 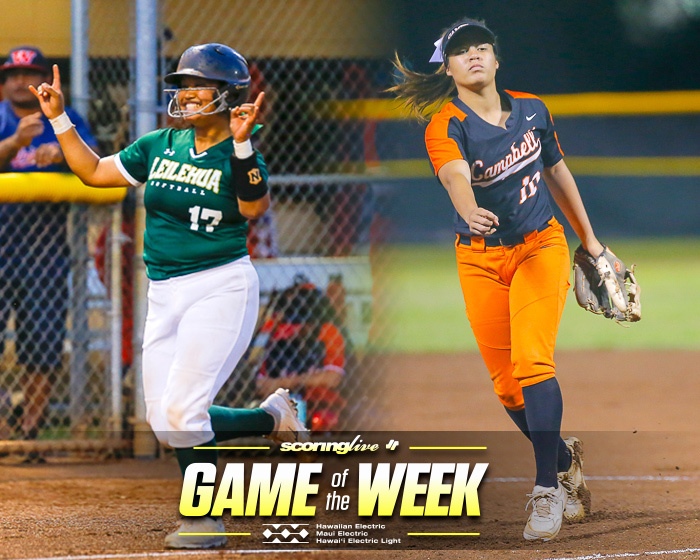 Mililani (9-0-2) and Aiea (10-2) also claimed berths and will play each other in the other OIA semifinal match. 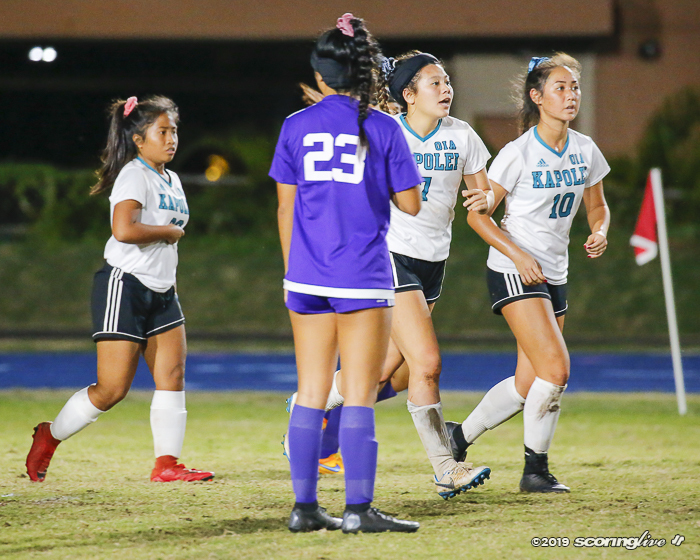 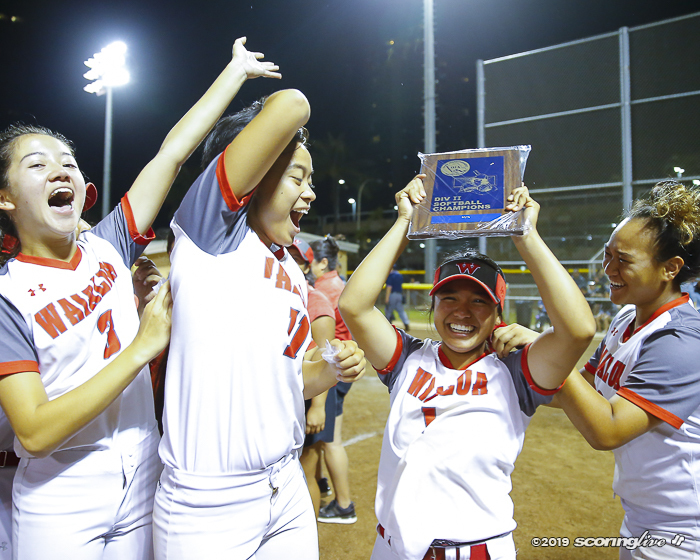 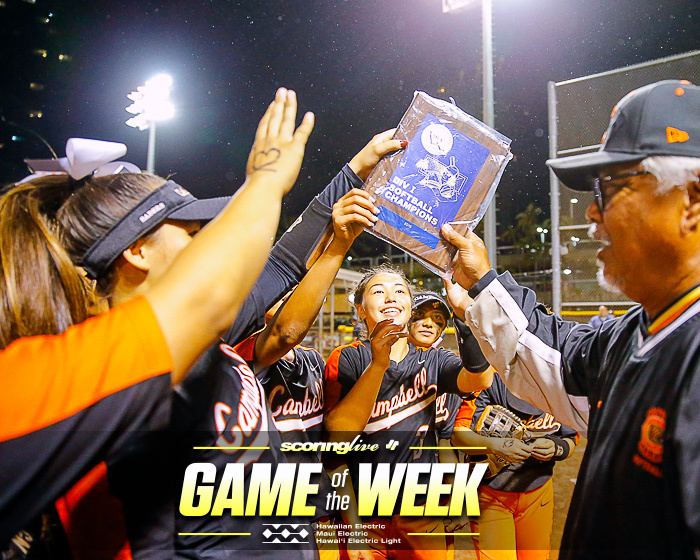 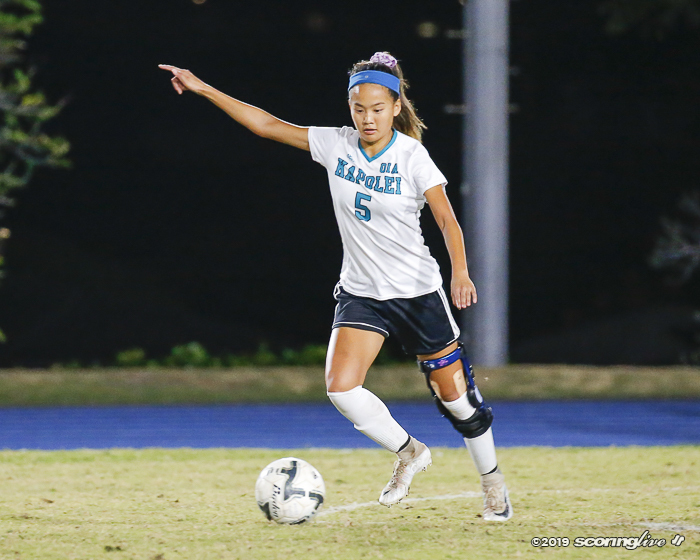 Kapolei and Kailua will play each other Wednesday evening at Castle High School with the winner claiming a state tournament spot. 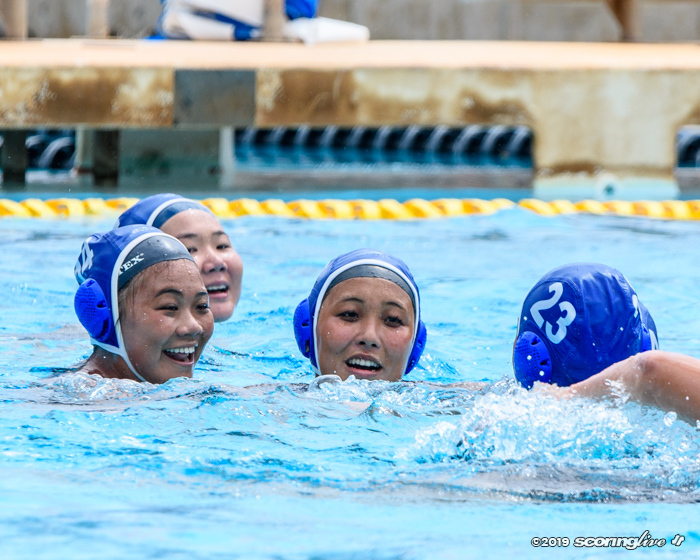 The loser's season will end. 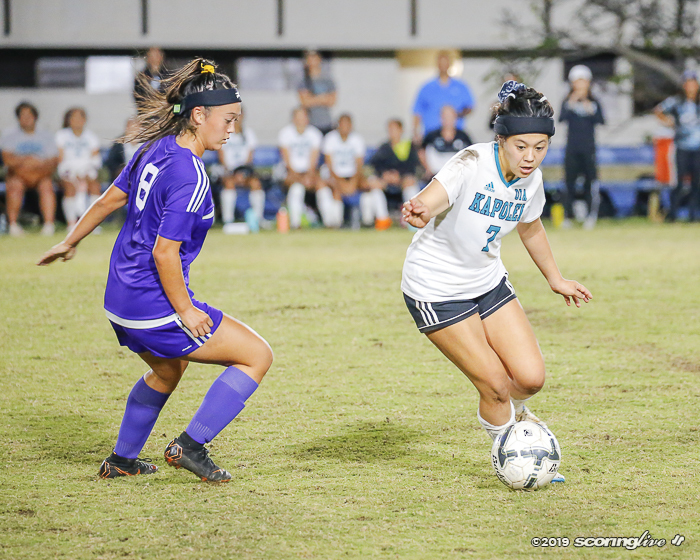 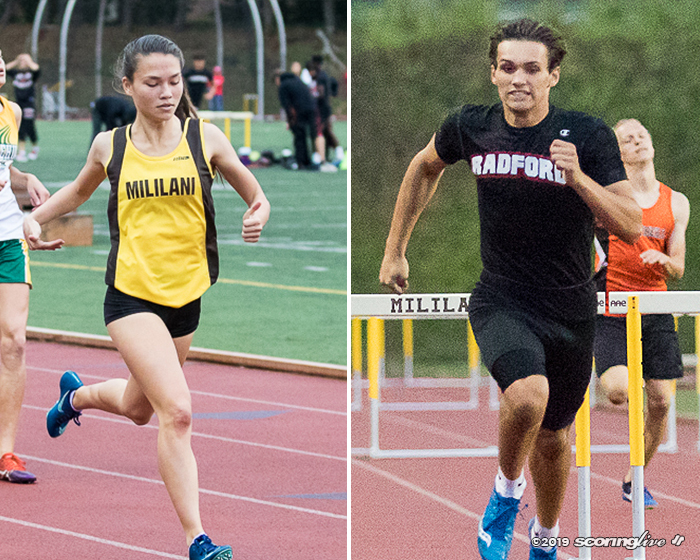 OIA Championship match is set for Saturday night, 7 p.m., at Kaiser.